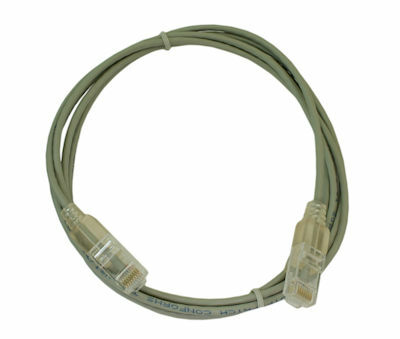 This patch cable uses 30 AWG 4 pair UTP Ethernet wire and is designed to optimize the space in telecommunication room and data center. Cable diameter is mere 3mm (0.12") compared to standard 5.8mm (0.23") and provides 48% reduction in diameter and 73% reduction in space. Small size means cables are easier to manage, higher-density patching is more feasible, and valuable rack space can be used for equipment and ventilation, rather than cable management. 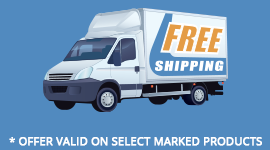 It is also suitable for residential installation to keep cabling around the cable/DSL modem and router low profile. 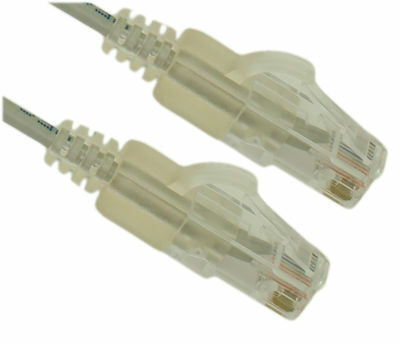 Our slim patch cable comes with neat looking clear strain relief boots.